Should you be worried about hurricanes? To find out, it is useful to know where hurricanes have gone in the past. Although striking, a growing incompleteness exists in the data the further one looks back in time. 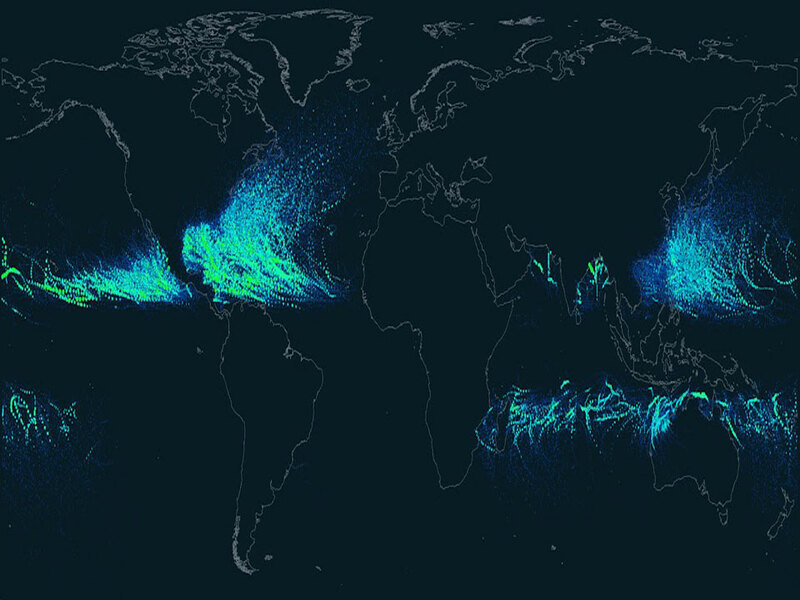 The above map graphically indicates that hurricanes — sometimes called cyclones or typhoons depending on where they form — usually occur over water, which makes sense since evaporating warm water gives them energy . The map also shows that hurricanes never cross — or even occur very near — the Earth’s equator , since the Coriolis effect goes to zero there, and hurricanes need the Coriolis force to circulate. The Coriolis force also causes hurricane paths to arc away from the equator. 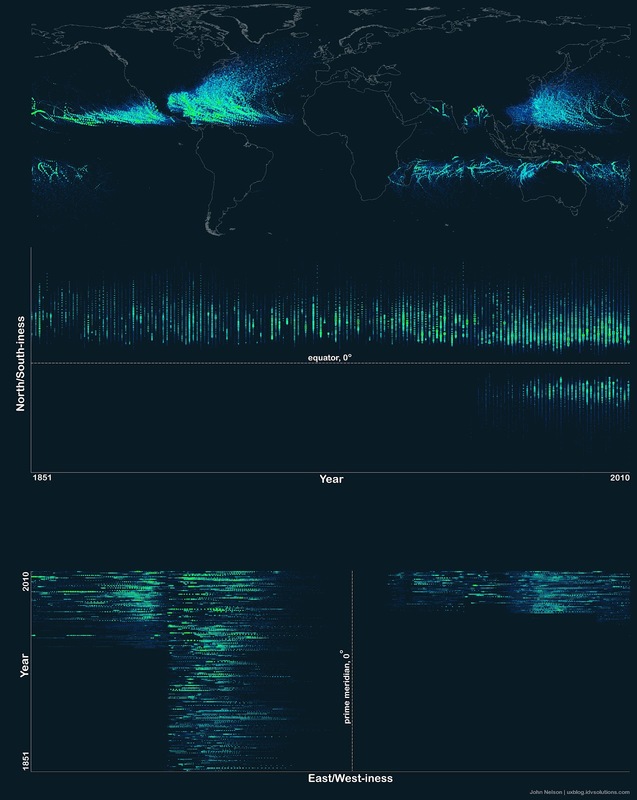 Although incompleteness fogs long term trends and the prevalence of hurricanes remains a topic of research, evidence is accumulating that hurricanes are, on the average, more common and more powerful in the North Atlantic Ocean over the past 20 years.